Escale Îles de la Madeleine and Cruise the Saint Lawrence propose an audio guided tour through the La Grave Historical Site, a unique site that is a witness of a time when La Grave was the cradle of the settlement of the archipelago and the fishing industry. 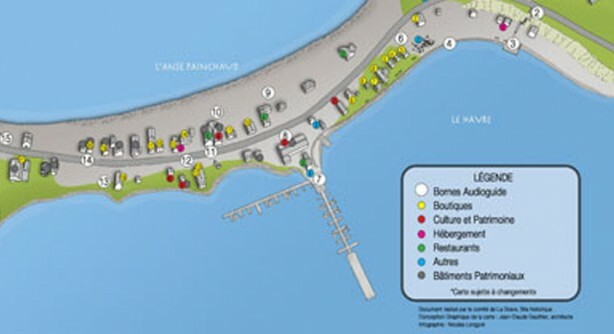 Today La Grave offers a concentration of restaurants, cafes, shops, an aquarium, a museum, a marina, a theater, a fishing port and much more to entertain you. 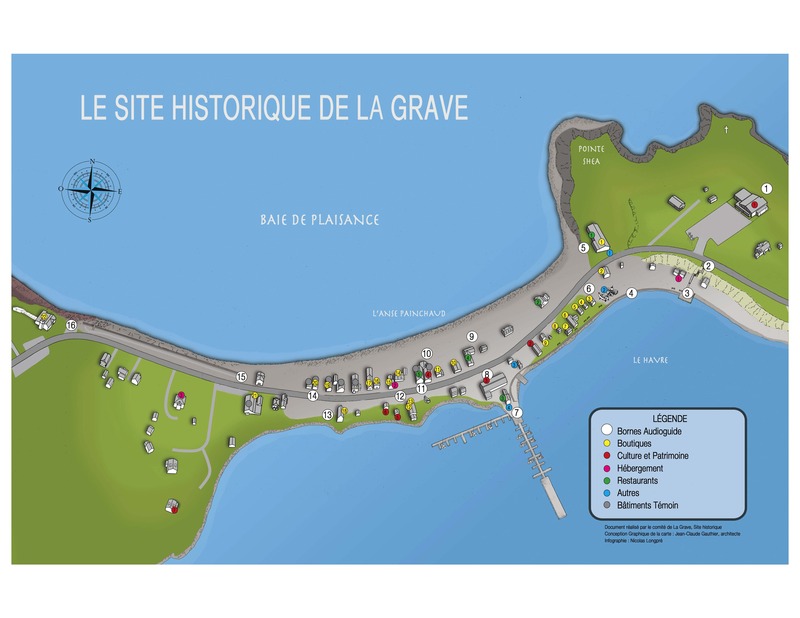 This audioguide will allow you to explore La Grave historic Site at your leisure. Simply proceed from one numbered terminal to the next as indicated on the map. Whenever you are ready tune into the soundtrack corresponding to the terminal number. 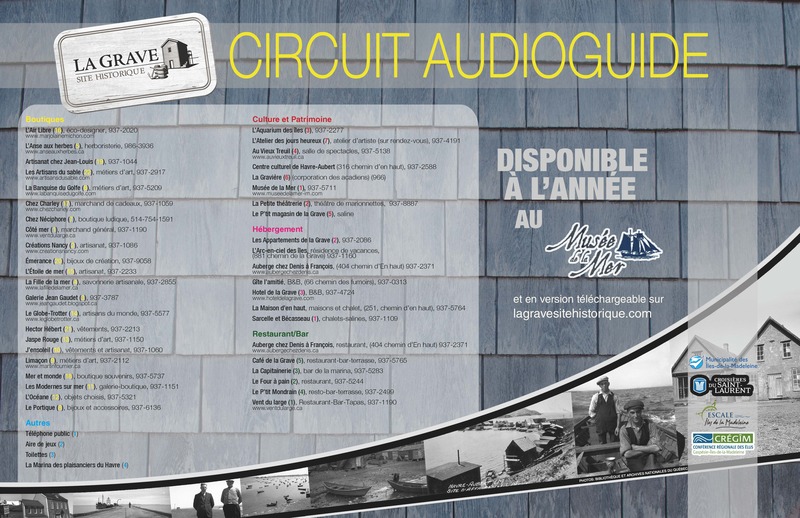 The map of the circuit and the audioguide are available year round at Musée de la Mer. Downloadable version below or at lagravesitehistorique.com.